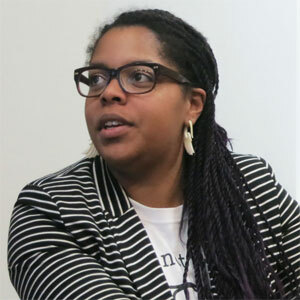 Theresa Stewart is an interaction designer for gravitytank, an innovation consultancy in Chicago, Illinois. Her enthusiasm for interaction design is deeply rooted in her love of problem solving and she has helped companies craft meaningful solutions in a range of industries including consumer electronics, retail, and healthcare. We started by talking about her work at gravitytank, and then moved into discussing the concept of play in design, the type of health data wearables should track, and her recent time in Iceland attending DesignMarch part of AIGA’s Spring B’Reykjavik. Thanks to Amy Schwartz for the introduction!